It is probably one of the toughest things you've ever done, but it will be so worth it! You will live in the wilderness, grapple with challenges you are unlikely to ever face in your city lives. At the end of it all, you will emerge strong-willed, relentless in your desire to face every challenge with equanimity. The Explore Programs are for young people between the ages of 13 and 18 years and are therefore, a little longer in duration - as compared with the At School Discover Programs. The mid teens often brings about a period of transition and change: moving into young adulthood, needing to make greater decisions, taking on responsibilities, seeking challenges, self-reliance and a sense of accomplishment. This Explore Program provides a contemporary ‘rite of passage’ and is an opportunity to unearth new strengths, build confidence, master new skills and develop personal leadership abilities. ​Friendship is very important in the wild. How fast people can cooperate when faced with challenges. I am stronger than I thought I was. (I learnt) how important it is to make a fire safely. I can live without electricity! The trekking and rafting expeditions were able to expand and push my limits of mental will power. 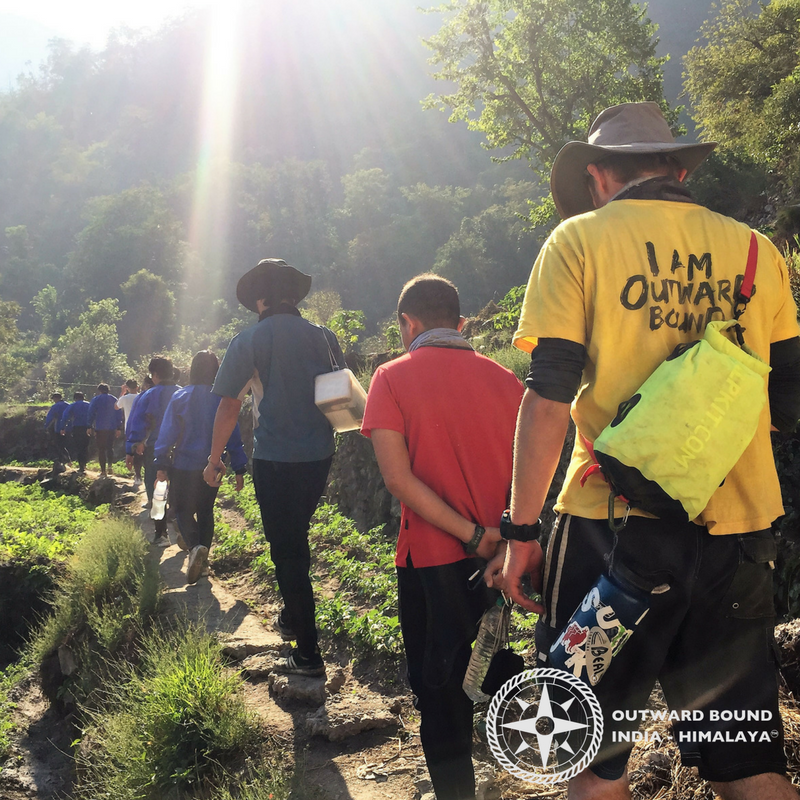 ​Leave your friends, family – and mobile phones – behind this summer school holiday and step up to the Outward Bound challenge! It's a 7-day challenge, where you swap the busy streets of your city lives, the malls and movie halls, for forest paths, clean mountain air and gushing waterfalls.